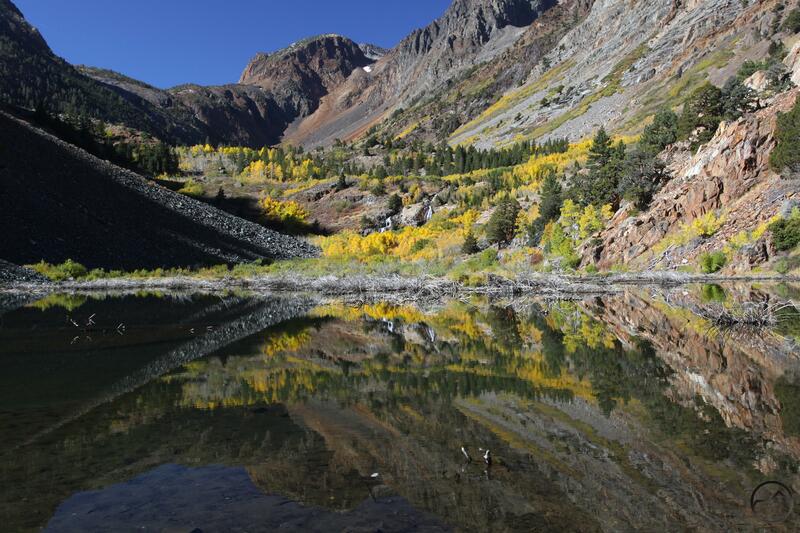 Fall color at the west end of Lundy Canyon reflects in a massive beaver pond. OK, this is the final, final book update until we get close to the book’s release date. I doubt there will be many calls for updates as I slog through the editorial process. For everyone that has stuck with me this far, I appreciate the patience and the interest. 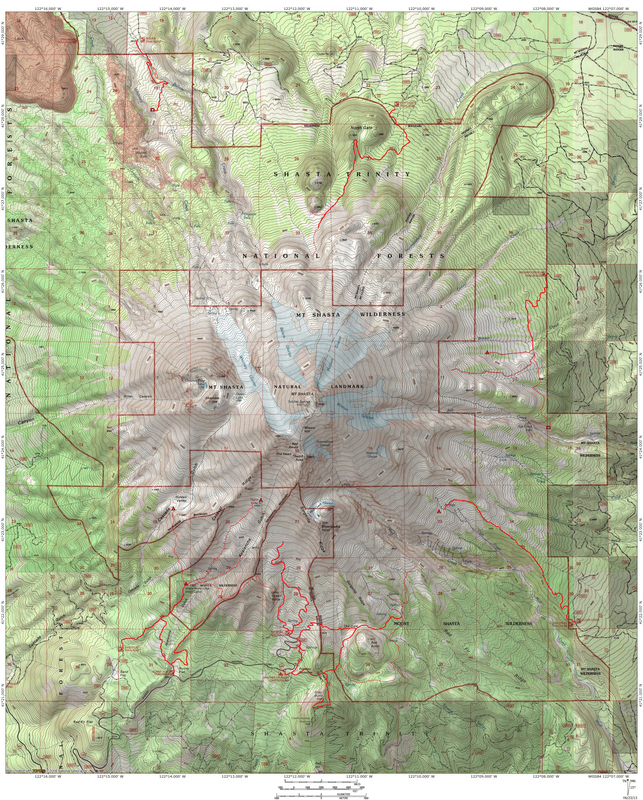 After this post, I will east back into more Mount Shasta-specific topics, though I do hope to write a bit more on issues relating to hiking, mountains and wilderness on a broader plane than simply around Mount Shasta in the future. All that having been said, I turned the manuscript in this past Monday. I am officially done writing the book. As noted, there is still a lengthy editorial phase to get through but the writing, the map annotation and all that kind of business is done. It is a huge weight off my shoulders. I had kind of gotten used to hitting the trail all the time, to being on some kind of journey, and of having the deadline always lurking in the back of my mind. Thankfully that is over! Getting back to neglected tasks here at the homestead is now my primary objective for the next couple months or so, until I get the edited copy back and have to make corrections and work on that kind of stuff. So, despite it being a little past due, I wanted to include a few images of fall color from my hikes at the tail end of the hiking phase. Here in Mount Shasta there is still a lot of color lingering around town and it is a joy to just drive around in the crisp air, under the blue skies and look out at the yellow and red trees and the awesome white mountain. Fall is probably my favorite season, especially if there is a good rain to swell the otherwise sparse creeks and rivers. This year, with lots of trails left to hike in September, I began to run into fall color earlier than I normally do. The last big trip to the Sierra was on high-elevation trails and at areas above 10,000 feet the fall color was really setting in. After that, on the first day of October, I did a rainy hike to the Devil’s Punchbowl in the Siskiyou Wilderness. It was the final hike for the guide and the fall color was in fine form there. A couple of days later my wife and children all went back down to Mammoth to capture more of the fall color in the Eastern Sierra. California is not usually regarded as a great fall color destination but when you see pockets of vibrant color against amazing mountain scenes, it is unforgettable. I’ll leave it at that and thank everyone once again for sticking with me through this journey! Fall color follows the path of Laurel Creek. Autumn color around the Devil’s Punchbowl. Deep forests and fall color in the Siskiyou Wilderness. Gorgeous photos! Here’s to success with the book process.